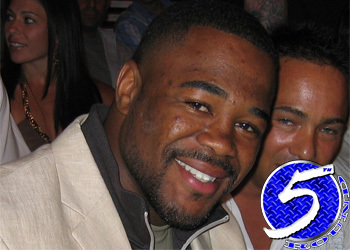 Former light heavyweight champ Rashad Evans (Pictured) was more than a 5-to-1 odds-on favorite to dispose of Antonio Rogerio Nogueira at UFC 156, which could have possibly opened the doors for a scrap with middleweight king Anderson Silva. With the potential of a lucrative payday dangling in front of his face, UFC president Dana White expected Evans to come out like a house on fire. Instead, it appeared as though the fire in the 33-year-old’s belly has burned out. “To be honest with you, Rashad and I have a good relationship. I like Rashad a lot. He’s a good guy, a smart guy. He has lost that hunger,” White expressed following Saturday’s post-fight press conference. “He’s lost that desire and that drive and he needs to get it back, there’s no doubt about that. Saturday’s unanimous decision defeat was the first time Evans had been inside the Octagon since losing to bitter rival and reigning 205-pound king Jon Jones. “Suga” shocked the media earlier this week when he revealed that he considered retiring after the April setback. “There you go. If that word even comes out of your mouth in this business, it’s a negative. It’s bad,” White said of Evans mentioning retirement. “The fact that he even said the R-word, it shows you right there where his head is at and what he’s thinking. Evans owns a 17-3-1 professional record, but has dropped two straight fights. He has been an eight-year UFC veteran since taking “The Ultimate Fighter 2” tournament back in November 2005.